3rd Person Shooter 3rd Person Shooter 3rd Person Shooter is an FPS Unity game. Complete different levels and difficulties by shooting down your enemies. Alien Carnage Alien Carnage Sidescroller action, alien shooter flash game. Apple Shooter Champ Apple Shooter Champ shoot the apple off the head of your girl friend and make sure you don't hit her. ArmorLock ArmorLock Take down the terrorists with multiple guns in this top-down shooter. Slow down time to stay alive. Army of the Damned Army of the Damned Fend off hordes of hungry zombies in this fast-paced action shooter. Battlefield Shooter Battlefield Shooter Gun down the enemy troops as they attack your base! Bitzy Blitz Bitzy Blitz Defend the town against waves of enemies and awesome bosses in this shooter game. Blueshift Blueshift An awesome side-scrolling shooter. Grab some powerups and start blasting! Bubble Shooter Bubble Shooter Match 3 or more bubbles to knock them out. Bubble Shooter Christmas Bubble Shooter Christmas Try to remove all of the festive bubbles before the entire collection of presents comes crashing to the ground! Bubble Spinner Bubble Spinner This is a Bubble Shooter with a fun twist. The bubbles are on a rotating platform, so see if you can knock them all out! Bullet Overflow Bullet Overflow Bullet Overflow is a first person shooter game, can you beat the highscore and become the ACE of killers? Call of Bieber Call of Bieber Call of Bieber is a funny shooter game where Bieber goes on a rampage killing cops. 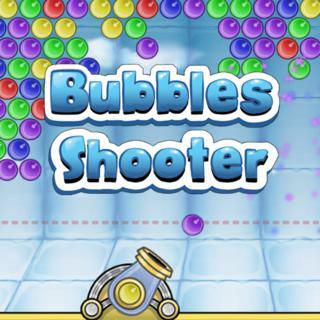 Candy Shooter 2 Candy Shooter 2 Enjoy this epic bubble shooting game with a delicious candy theme! Canyon Shooter Canyon Shooter Metal Slug style shooting game. Fight your way through the canyons taking out the enemy on the way down. Cell Warfare Cell Warfare An amazing action packed space shooter with 78 achievements, 28 badges, 10 unique enemies! Combat Zone Shooter Combat Zone Shooter Step into the warzone battlefield and gun down those enemy soldiers! Counter Shooter Counter Shooter Use your assault rifle and your shooting skills to eliminate all special forces soldiers on each level. Crazy Flasher 4 Crazy Flasher 4 Use a wide variety of weapons and vehicles to fight your way through this top-view shooter. Dead in 60 Seconds Dead in 60 Seconds A shooter game mixed with a distance game. Keep upgrading to become more powerful and get farther. Dead Metal Dead Metal Take down wave after wave of enemy space-craft in this top-down shooter. Death Lab Death Lab Death Lab is a physics based ricohet shooter with an upgrade shop. Death vs Monstars 2 Death vs Monstars 2 Death returns in this manic arena shooter with more monsters, upgrades, weapons, outfits and as usual Mayhem. Dogfight 2 Dogfight 2 Play as the Germans in this sequel to Rock Solid's hit arcade shooter. Doom Patrol Doom Patrol Doom Patrol is a Top Down shooter inspired by Alien Shooter. Dr Flammenwerfer Dr Flammenwerfer Bring evil to the city in this mad scientist upgrade based shooter. Duck Tub Battle Duck Tub Battle Fight your way to waves of enemies and bosses. In this action survival shooter game. Experimental Shooter 2 Experimental Shooter 2 Tag along with the shooter bot as he tries out a new set of wheels. Facility Z Facility Z Fight for survival on an Antarctic research base overrun by undead creatures in this tense 2D side-scrolling zombie shooter. Fast Monster Shooter Fast Monster Shooter Monster troopers attacked the space base and you must shoot fast to destroy them in this shooter game. Fruit Faces Fruit Faces Feed the fruits to each other as you match up all of the loose hanging fruit, and complete this fun fruit shooter game. Gib Fest Gib Fest A top-down action shooter. Blast the spiders and cows, as your earn money to upgrade your weapons. Girlfriend Shooter Girlfriend Shooter Try to hit a apple NOT your girlfriend. Grand Theft Shooter 3 Grand Theft Shooter 3 Play as a grand theft in this game. Shoot with accuracy and speed to kill all opponents in each level. Halloween Bubble Shooter Halloween Bubble Shooter Halloween Bubble Shooter is a simple match game, shoot in 3 or more balls with same colors, and get high score! Hostage Crisis Hostage Crisis An explosive shooter where every wall can be blown up and destroyed with a variety of things that go boom. Hugo Headshooter Hugo Headshooter A shot to the head will always kill these bots dead. I Am Ultra Killer of Zombies I Am Ultra Killer of Zombies Yet another barricade shooter. Shoot the zombies & spend hours to gain food & new weapons. John Citizen John Citizen A physics based platform shooter inspired by Valve's half-life series. Lead 4 Dead Lead 4 Dead Shoot the zombies in this top-down shooter. Earn points to buy guns, create barricades, unlock areas. Love Ball Love Ball Bubble Shooter puzzles. Solve them and save the girl. Madness Deathwish 2 Madness Deathwish 2 Action shooter with upgradable weapons, armor and perks. The mission is simple: Kill all the attackers. Mini Attack Urban Combat Mini Attack Urban Combat A 3D Third Person View Shooter. Shoot people, blow stuff up and use Bullet Time. 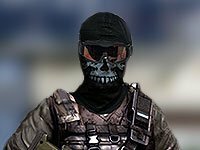 Modern Soldier Shooter Modern Soldier Shooter Use your tactical shotgun to destroy modern soldiers from the future and save the world from enemy forces invasion. Nemesis Nemesis Turn the tide of the war in this shooter RPG. Nocran Space Nocran Space Stop the Nocran army from reaching planet earth in this epic top-down shooter. Notebook Space Wars Notebook Space Wars Enjoy the best notebook shooter in space! Panzertroopers Panzertroopers Panzertroopers is an addicting, fast paced top-down survival shooter inspired by the well known Crimsonland. Penguinz Penguinz Sidescrolling action shooter. Build up your weapon arsenal and take out the Penguin King!